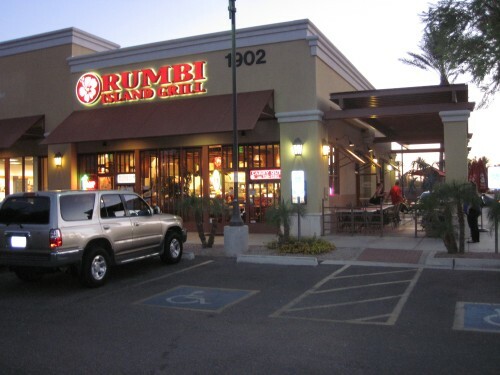 Category: Rumbi Island Grill, Mesa, Az. 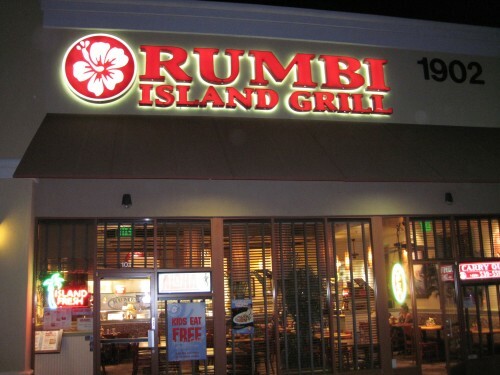 Rumbi Island Grill, 1902 S. Val Vista Dr., Mesa Az. 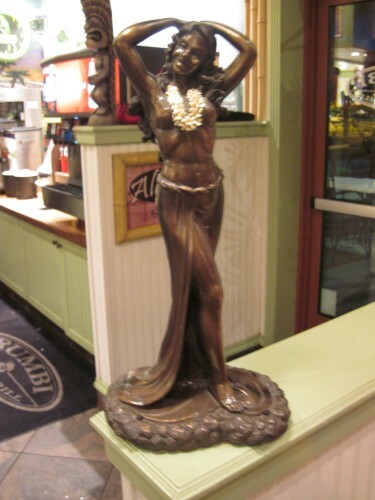 Rumbi’s has 22 locations in 5 states. Arizona, Utah, Nevada, Colorado and Idaho. Hours are Monday – Saturday 11AM – 9PM and Sunday’s from 11AM to 8PM. 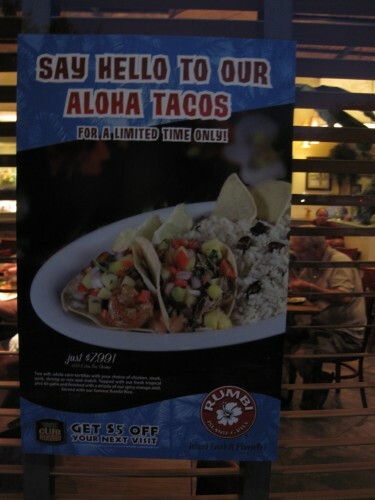 Outside the entrance advertises a limited special of island fish tacos. This seemed like a Baja theme until you have entered. 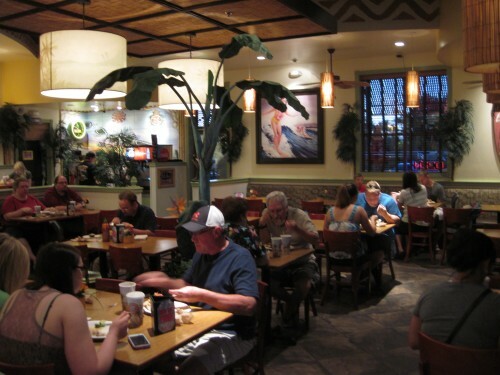 When I heard that it was an island eatery with hamburgers I thought it was going to be just another hamburger joint where they put teriyaki sauce on the patty. 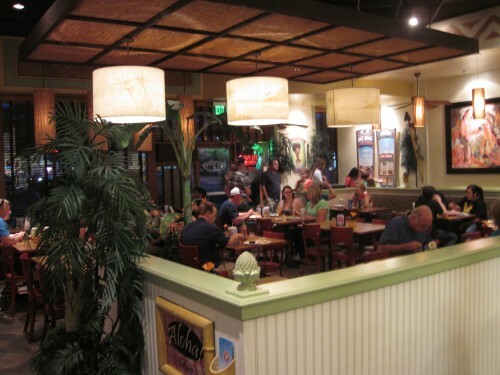 I have to say for a hamburger joint with an island theme I was surprised at the atmosphere that was created. 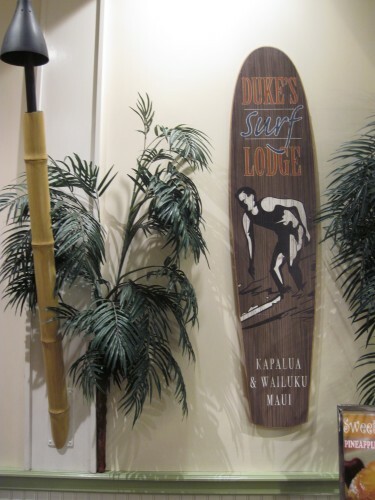 My preconceptions were put to rest very quickly as the feel became one of Hawaii very quickly. 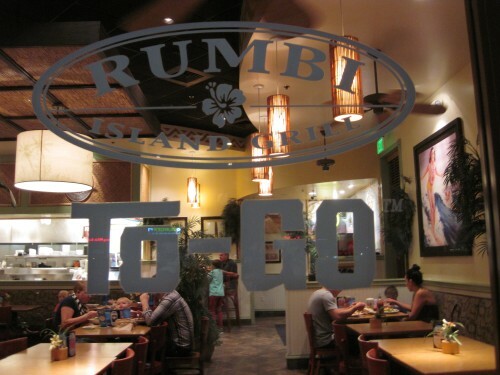 Rumbi’s is clearly a franchise business decorated with a modern island theme that is surprisingly impressive. 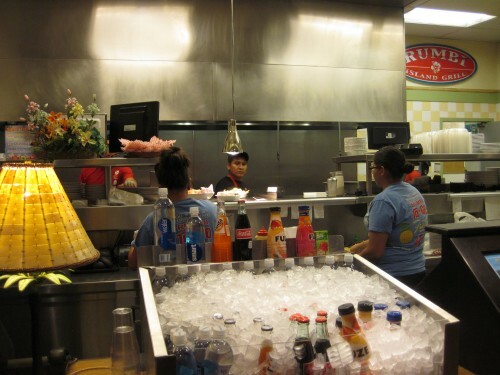 Ordering was simple and the help were friendly. 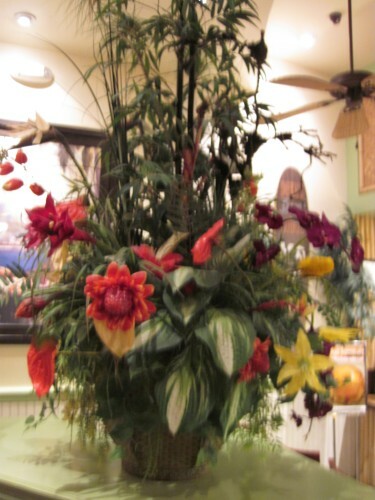 The island theme was carried throughout. 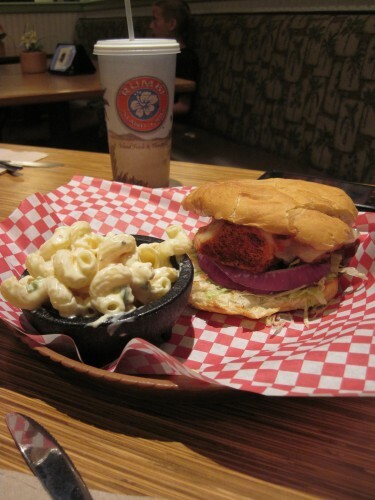 I tried the Volcano Blackened Mahi which was moist , hearty in size topped with a mango passion aioli and pinapple salsa. 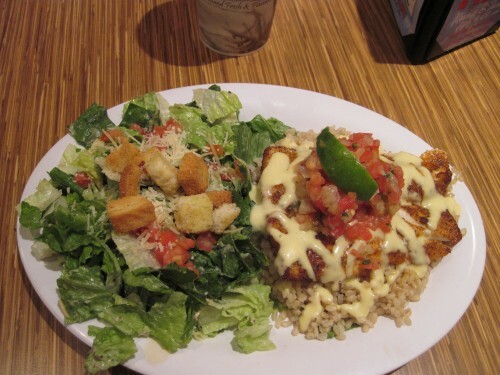 It was served over a bed of white or brown rice and a Caesar salad that was crispy and fresh. Since I wasn’t in the mood for a hamburger with teriyaki sauce I tried the Volcano Chicken Sandwich. It came with Swiss cheese, red onion, cilantro mayo, lettuce, homemade pineapple salsa and on a fresh baked bun. Island style mac n cheese was chosen for the side. Surprisingly, the grilled blackened chicken was moist, meshed with the other toppings with a perfect hint of the grilling taste at the end of each bite. Kids eat free on Monday’s and Tuesday’s with the purchase of an adult entrée. 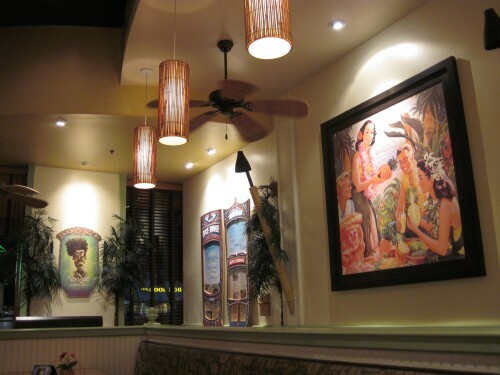 Rumbi’s is has family friendly prices with a Little Kahuna menu for kids under 12 with all prices under $3.99. 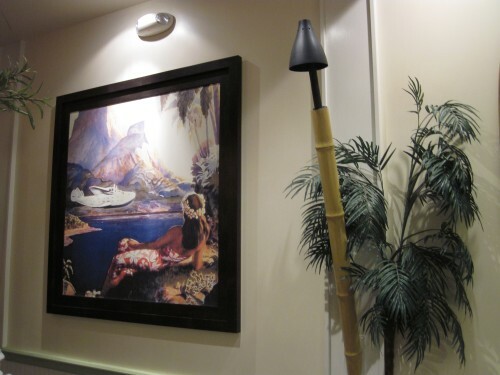 I was surprised enough by Rumbi’s atmosphere and food enough to want to return in the near future. 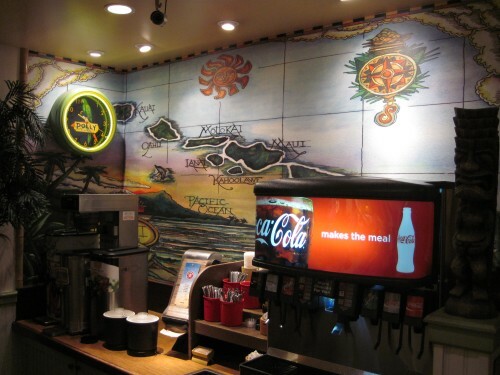 Check out the website for more of the menu selection and other dining locations. 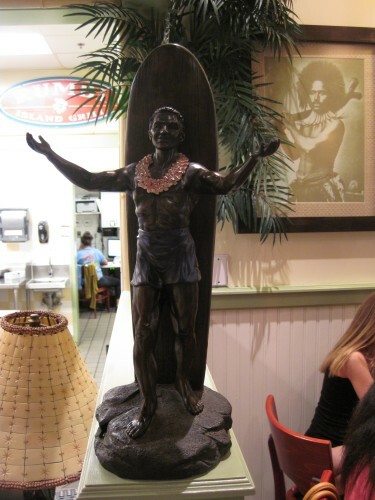 Mahalo for reading and if you’re in the area of a Rumbi’s, swing in and check it out! You’ll be gland you did. I will definitely return to Rumbi’s and update my feedback when I do.